On March 8, International Women’s Day, it’s not only right to remember these and other female heroes, it’s just as important to encourage young women to know they can and should be among the next generation of inventors. That’s why Microsoft is celebrating International Women’s Day by inspiring young women around the world in its #MakeWhatsNext campaign. A new video from Microsoft shows the lack of awareness girls today have about women inventors and reminds them to celebrate those women’s accomplishments and be encouraged to follow in their footsteps. Microsoft, as part of its longstanding efforts to encourage girls to build technology skills and learn about careers in technology, is also offering free resources for girls to learn to code and meet female role models at DigiGirlz events happening around the globe, and is also offering free online coding tutorials to make strides in closing the considerable gender gap in computer science education and the tech industry at large. In addition, Microsoft is announcing a new patent program focused on inviting select young female inventors to receive support from the company’s patent law resources to help them file for a U.S. patent. These efforts are part of Microsoft’s broad commitment to computer science education, with programs and resources offered through Microsoft Philanthropies YouthSpark initiative to increase access for all youth to learn computer science, empowering them to achieve more for themselves, their families and their communities. Helping to make sure the next generation of inventors and creators are diverse is crucial, says Kathleen Hogan, Microsoft executive vice president, Human Resources. Kathleen Hogan, Microsoft executive vice president, Human Resources. 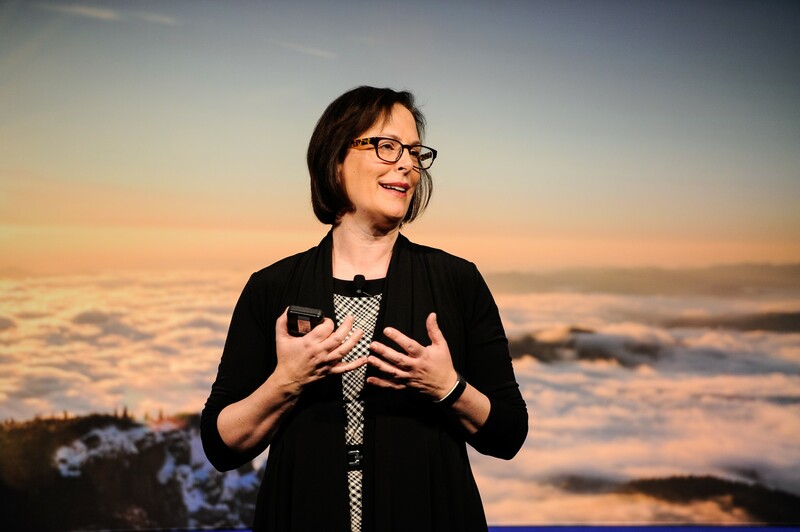 Peggy Johnson, executive vice president of Business Development at Microsoft, is a staunch advocate for girls to learn about coding and technology in order to create new products. Johnson was an engineer for General Electric’s Military Electronics Division, and also served as executive vice president of Qualcomm Technologies, Inc. before joining Microsoft in 2014. For more than two decades at Microsoft, Larson-Green has envisioned and delivered innovative technology advancements such as the Office “ribbon,” which delivered contextually relevant menu interfaces. She is also a pioneer in product development and engineering, and oversaw the transformation of the Windows organization to focus on building Windows for the end-to-end customer experience. Julie Seto, who describes herself as a “passionate usability advocate,” leads a team of software engineers at Microsoft who plan, design and develop the user experience for Office mobile applications on multiple devices. Before coming to Microsoft, she worked at the National Center for Audiology, a research center that, among other things, tested hearing aids and developed new hearing aid technology. Building a career based on passion, based on loving what you do, offers the best chances for true success – and innovation. Some of the attendees at a DigiGirlz event in France in 2014. “Coding has taught me an iterative approach to problem solving and sharpened my critical thinking, skills I use every day on my job, even when I am not coding,” says Sumit Chauhan, general manager of Office engineering, Office Experience Organization. When she started to learn to code, Chauhan says she was “unaware of the limitless possibilities it would open up for me and the impact I could have from (a) small town (in) India all the way to shaping Office Engineering. Lead image: Girls at We Day Seattle in 2015, an annual gathering that celebrates young people and encourages them to change the world. The event is sponsored by Microsoft Philanthropies YouthSpark.